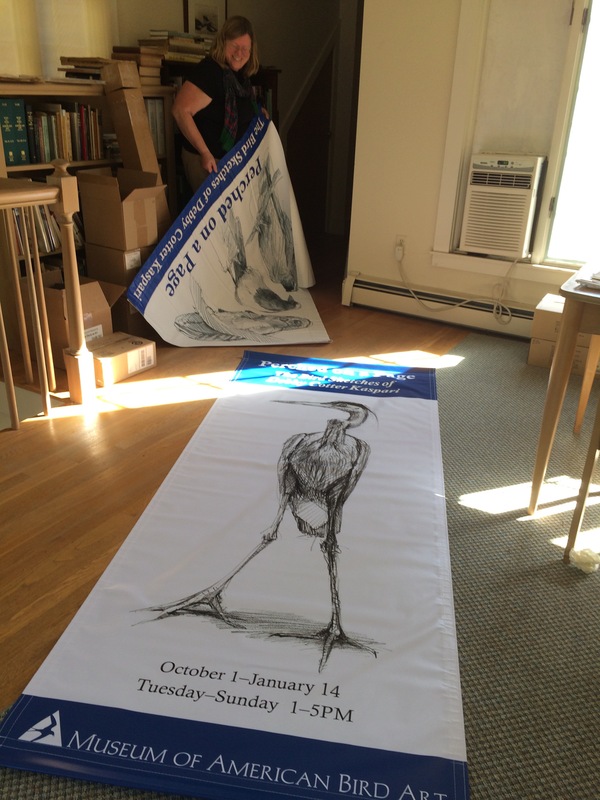 Museum of American Bird Art Director Amy Montague unrolls the banners. We’re hanging the show! 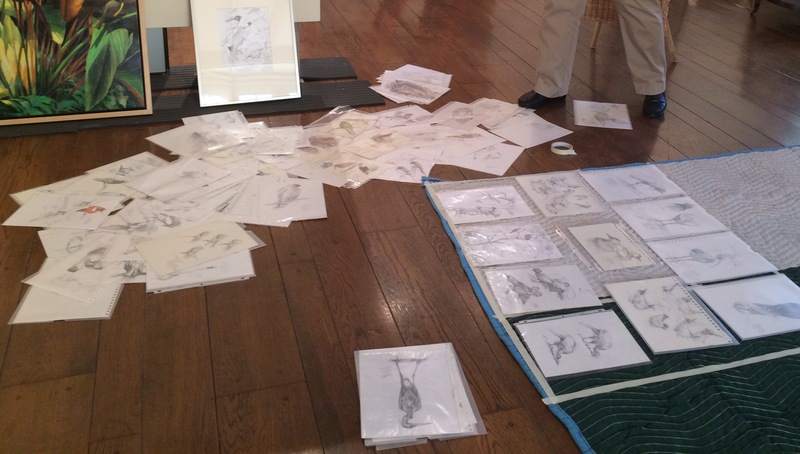 Sorting out the art, figuring out where they all go.